By thinking outside the box, we can often come up with creative solutions to problems that arise in the workplace. Grievances are important, but they alone aren’t visible to most workers and can be drawn-out and feel bureaucratic. When workers are involved with directly challenging issues, it can help inspire confidence, build the union and sometimes lead to a faster resolution. One member-driven internal organizing effort that I recall happened in one of my stores, surrounding tattoos and piercings. There was an outdated policy regarding tattoos and piercings, but the company, Giant Eagle, hadn’t enforced it for many years. One day, rather suddenly, a manager at one store decided to be vindictive and said that going forward, all tats and piercings on employees in his store would have to be covered. We had a grievance filed, but everyone realized that it would likely take a long time to settle and they were miserable with this idea. So the members decided to cover them rather creatively. 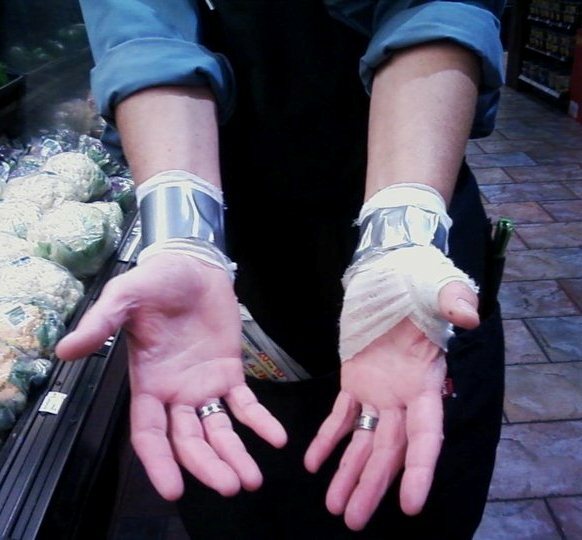 A member with wrist tats came in with gauze wrapped around her wrists with duct tape, leading customers to look at her sadly, thinking she had attempted suicide. 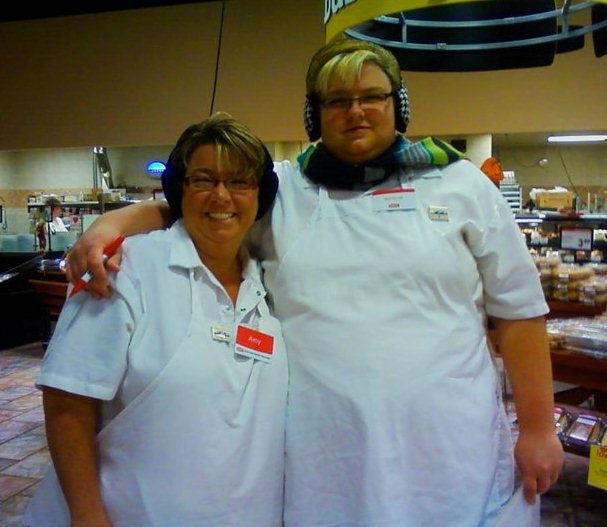 Two women in the bakery wore ear muffs to cover multiple ear piercings and scarves to cover their neck tats. Because they wore all white uniforms, they looked very much like snow men, which was especially attention-getting because it was the middle of summer. Customers – those with and without their own tattoos – made comments to managers about how ridiculous it was. Not only were some offended with the idea that vets with military tats couldn’t show them off proudly, but they found it to be unnerving that people who were handling their food were bandaged. The crackdown on tattoos and piercings was basically over by noon and was finalized by a grievance settlement soon after.